• Need to raise $10,000 for pollinator habitat. • A beautiful stone wall will be installed and create a gorgeous backdrop. • These landscaped pollinator gardens will be attractive to people and wildlife! This community development project will benefit so many people in the Catawba community. 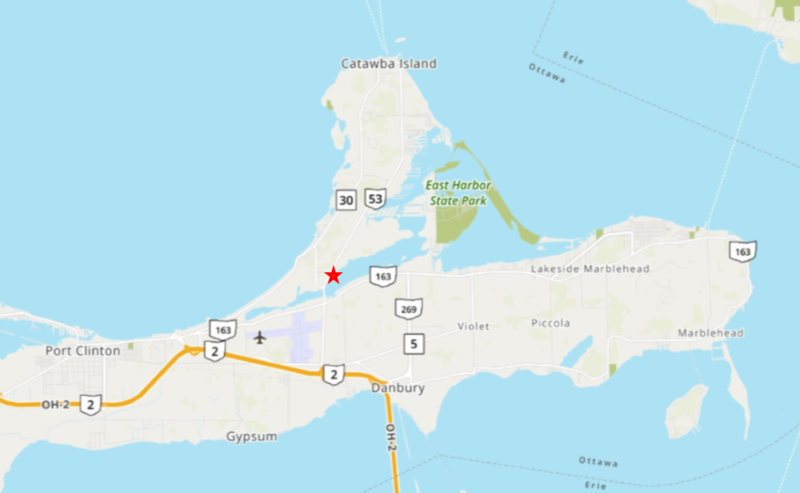 An average of 10,000 people travel the busy stretch of highway each day as ferry transportation to the Lake Erie Islands is located on the tip of Catawba Island. Having the West Harbor site open to the public will mean that people will learn about the importance of marshes and pollinator habitat, and gain a new appreciation for our area through outdoor recreation. The Refuge operates under the knowledge that connecting children to conservation supports their growth into stewards of tomorrow. YOUR support to fund the West Harbor Landing will help to ensure the realization of this goal. including the fragile habitat needed for bees, butterflies and birds. Our group, founded in 1933, donated $5000 - the largest donation ever made by our club. I invite you to join us in this rare opportunity to make a difference by creating this jewel, a true legacy, that will stand for generations to come. Please support Catawba Islands West Harbor Landing Project." The Friends group and the Refuge can recognize contributions of major donors in a variety of ways including signage at the site, media coverage of the partnership, and a feature story in the Friends newsletter. As Friends of Ottawa National Wildlife Refuge is a 501(c)3 non-profit, gifts are tax deductible. For your purposes, our EIN number is 34-1904821 and our W-9 is available upon request. If our goal is surpassed, extra funds will be used to further improve and maintain the site long-term. 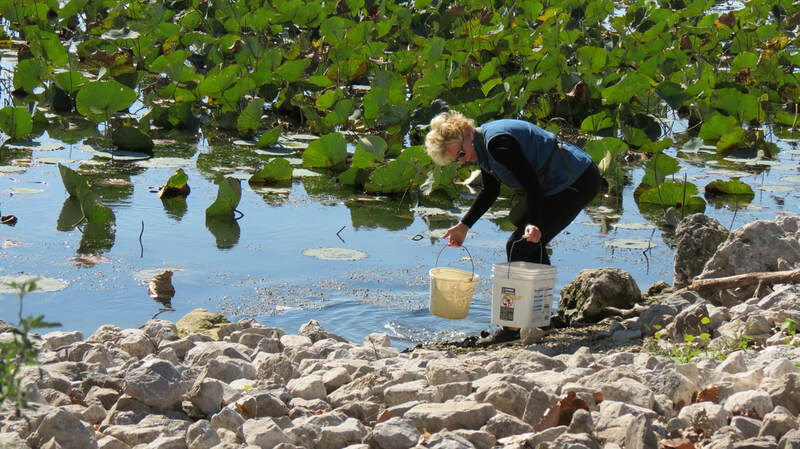 Known as the "Bucket Lady" by neighbors, Catawba Island Garden Club President Suzanne Richard has been working hard to help to enhance the West Harbor Landing property.